TGIF! Less than a month till Christmas. Yikes. Have you decorated? Shopped? Wrapped? We've got most of the house decorated but waiting on the tree (by the way, decorating the house is the only thing I can check off my list...nothing else. Please don't think I'm ahead of the holiday game, the game has just started for this girl). 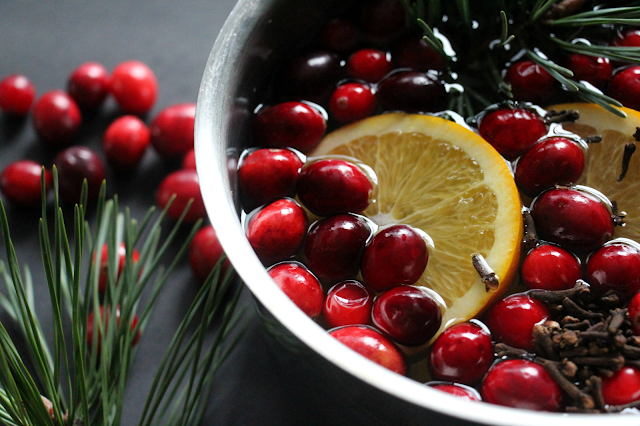 The tree is on the "next weekend list".Who doesn't love the smell of a Christmas tree? It's one of my fav scents. 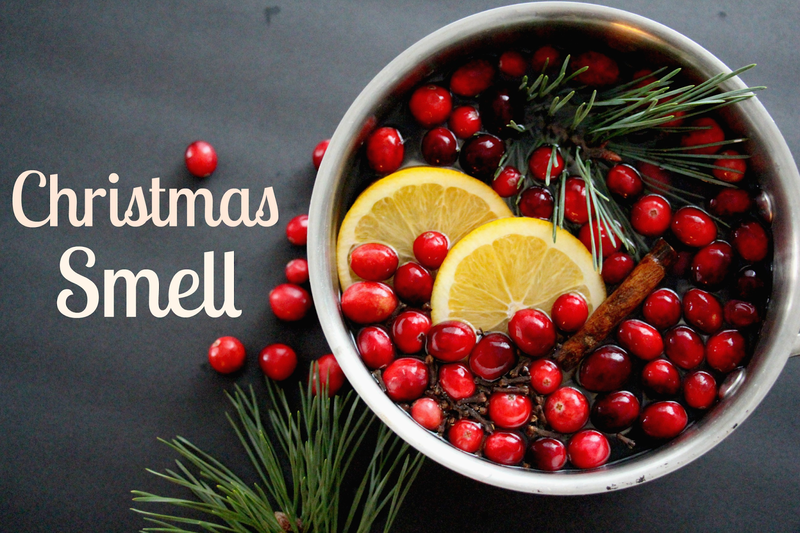 While I wait for the fresh Christmas tree smell to grace our living room, I thought I would create a little stove top Christmas smell. Guys, this is easy,easy, easy. The only thing I had to go out and get were cranberries...the rest was already in the fridge and cupboard. 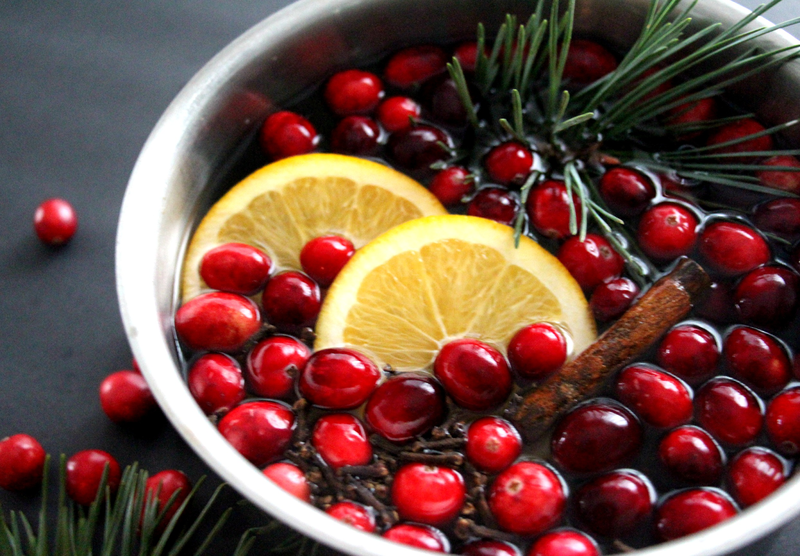 Promise...this all goes in a pot and in 5 minutes, your house will smell like the warmth and love of the holidays! The best part is that you can mix up the amount of ingredients. For example, I added WAY too many cloves. I thought I would need a lot to get that warm holiday smell. Yeah, use them sparingly. The first batch I made, the cloves took over the smell and gave me a wicked headache. Not exactly what I was going for. So...here are a few proportions to start with (I found this amount of cloves was way better) and then you can play around with them depending on what scents you might like to be more pronounced. All in a pot at once, turn up the heat and simmer that delicious Christmas cocktail on the stove and let the Christmas smell run through your house. Easy peasy. You could also make up little packages of these in cellophane and bring as a hostess gift. Fresh. Fabulous.Sophisticated. Who needs difficult on a Friday?! Have a wonderful weekend my friends! Make those lists and check them twice.